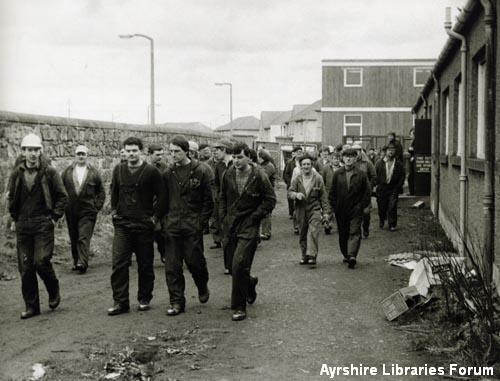 Workers leaving the canteen at Ailsa Shipyard. The Ailsa Shipbuilding Company was formed in 1886 to take over the shipyard at Troon started about 1808 by the Duke of Portland. The Company continued to build and repair ships at Troon until 2004 and their big shed - a well known local landmark- was dismantled in 2005.